Le Tariquet has been the cradle of an entire family since 1912. 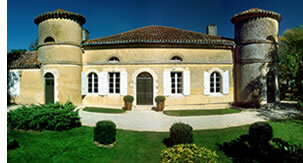 First of all, the home of Hélène and Pierre Grassa, who began the tradition with their love of fine Armagnac. Then, the home of their children Maïté and Yves, both fervent winemakers, who have now been joined by Yves’ sons, Armin and Rémy, the third generation of winegrowers in the family. Together they manage the Tariquet estate, which has always remained an independent and, now more than ever, family-owned company. They run the property with an eye on the future and have built a business that is well placed to meet market demand. With close to 900 hectares of land, they produce Tariquet white wines and Bas-Armagnac brandies that have won international acclaim. One might presume that Tariquet’s success is simply the result of hard work, dedication and respect for the vine and all things vinous. Yet the small region of Gascony known as the Gers, famed for its Armagnac and quality of life, is also a bastion of Gascon grapes and terroir, where differences are cultivated with a touch of reasoned rebelliousness. The soil that nourishes the Tariquet vineyards is key to the essence of our wine. The region’s temperate climate also plays a crucial role, its mid-August warm days and cool nights encouraging the development of aromatic precursors. Yet an expert touch is required to make the most of such favourable conditions. The fact that Tariquet wines and Bas-Armagnacs brandies have been acclaimed with the best of their class is due largely to the boldness of one man. Yves Grassa, now an internationally renowned winemaker from Gascony, began 25 years ago by breaking the rules of traditional winemaking, proposing white wines that were consistently characterised by a fresh finesse and fruity elegance. He was the first in the region to dare to plant chardonnay, sauvignon or chenin grapes, which were far from popular in those days. Worse still, he conjured up combinations of sworn enemies such as chardonnay with sauvignon, or chenin with chardonnay. The Tariquet style was born of contemplation, rebellion and reason, followed by continuous observation and improvement. Both in the vineyard, and in the wine cellar, as only a true winemaker makes wine in the midst of his vineyard. of The Year in England, in 1987. The challenge was also to seduce the consumer, which Tariquet has done, defying all tenets of white wine consumption. Reality goes well beyond the wildest hopes of any marketing study. The brand has seduced a wide range of people… from young women enjoying our Premières Grives as an aperitif, then with a meal and for the rest of the evening… to gentlemen savouring a veal shank cooked slowly for 18 hours with our "Classic ", a wine that will never go out of fashion.